The Latin American Drug Policy Reform Network was founded during the Andean-Amazonian Forum (FAA) and the Regional Meeting of the Independent Global Commission (CMI) which brought together more than 200 scholars, peasants and activists representing organizations from five Latin American and three European countries. ► To form a coalition for drug policy reform in Latin American, grounded in an antiprohibitionist approach to legislative policies and a harm reduction approach to public health policies. 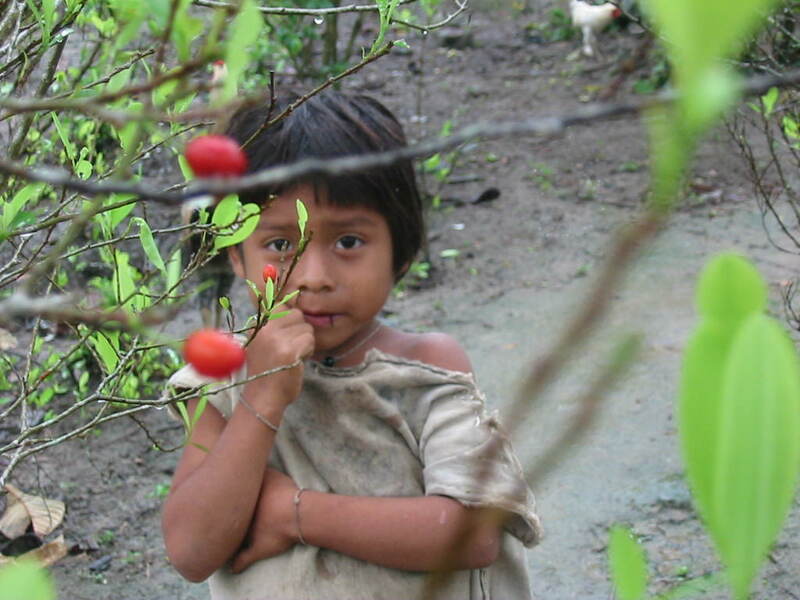 ► To fight for the protection/preservation of the human rights of peasants, indigenous people and drug users, as well as others subjects criminalized by Prohibition, reducing harms produced by erroneous drug policies that have drastically failed in Latin America. ► To contribute to the planning and execution of drug policies that are more effective and tolerant in the region, aiming at UNGASS 2008. ► We are concerned with the advance of the War on Drugs in Latin America that has transformed itself in a war against the ecosystem, indigenous people, peasants, and drug users, as well as against anti-prohibitionist intellectuals/thinkers, intensifying problems and harms. ► We recognize that anti-prohibitionist policies have also failed in their intent to control and reduce the supply of and demand for drugs. ► We refute the arguments that demonize plants and psychoactive substances, those lies or deliberate misconceptions whose only purpose is to help legitimate warlike interventions and human rights disrespect, while subverting the sovereignty of Latin American countries. ► We understand that drug policy reform in Latin American must essentially include strategies to reduce the harms produced by erroneous drug policies, particularly harms produced by those policies who determine abstinence and repression as the only answer. ► We refute State policies not in accord with Latin American culture and traditions, particularly those of native people. ► We demand the ritual, traditional and medicinal uses of such substances as coca leaf and marijuana be respected, contributing to the diffusion/spread of scientific evidence related to the subject. ► We propose immediate decriminalization of drug possession and cultivation for personal use, and the legalization of the therapeutic use marijuana, in the whole region. ► We propose to promote the discussion on the alternatives for open and controlled drug legalization in forums and meetings with international experts and the establishment of working relationship with other anti-prohibitionist organizations around the world. ► We consider it urgent that Harm Reduction agenda does not limit itself to HIV/AIDS prevention but includes socio-political, institutional, environmental and cultural harms associated with such phenomena as judicial and police corruption, urban and institutional violence and civil rights violation. ► We refute current United Nations Drug Conventions, alternative development proposals and crop eradications in Latin American, as well as violation of the sovereignty of the States who signed these conventions, and we call for the defense of popular sovereignty over their legal systems. ► We propose demilitarization of anti-drug agencies and task forces and the redistribution of drug control resources from juridical-police area to health and education fields. ► REFORMA as a network will include the intimate work of researching and training, actions and advocacy related to drug legislation reform in the region, bringing together Law, Social Sciences and Public Health academics, activists, peasants and drug users. REFORMA was founded by appointing an Executive Committee composed of Colombian, Argentinean, Brazilian, Peruvian, Bolivian, Jamaican and Uruguayan representatives. The members of this Committee represent Latin American organizations who have solid experience in the fields of drug policy and harm reduction. Executive Committee: María Mercedes Moreno (Mama Coca, Colombia), Silvia Inchaurraga (ARDA, Argentina), Luiz Paulo Guanabara (Psicotropicus, Brazil), Baldomero Caceres (Peru), Agustin Lapetina (El Abrojo, Uruguay), Paul Chang (National Organisation for the Reform of Marijuana Laws, NORML, Jamaica). Anti-prohibitionist Meeting will be host in Buenos Aires. The meeting will be the preliminary step before the 2006 Latin American Conference on Drug Policy Reform that would bring continuity to anti-prohibitionist activitities and experiences in the region as Out of the Shadows. ©2008 Mama Coca. Favor compartir esta información y ayudarnos a divulgarla citando a Mama Coca.